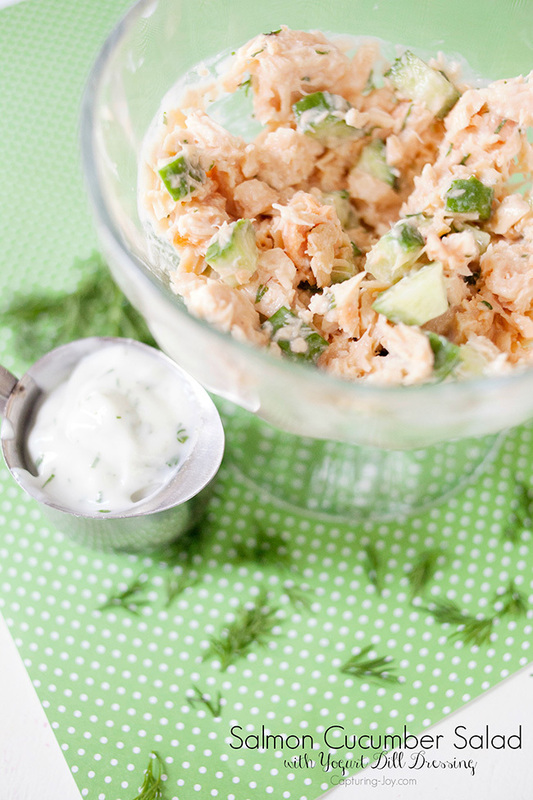 Salmon Salad with Yogurt Dill Dressing is the perfect healthy summer lunch. If you are looking for healthy lunch ideas as we head into the summer, you will love the delightful taste of this salmon salad with yogurt dill dressing. It is so delicious, you’ll want to make this every day. And the recipe is easy enough that you just might! 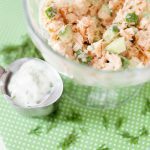 Salmon Salad with Yogurt Dill Dressing is one of my favorite light dishes. Ever since my big weight loss, I’ve really tried hard to eat well, and exercise well. Although I fall off the wagon from time to time, I feel good when I eat well. 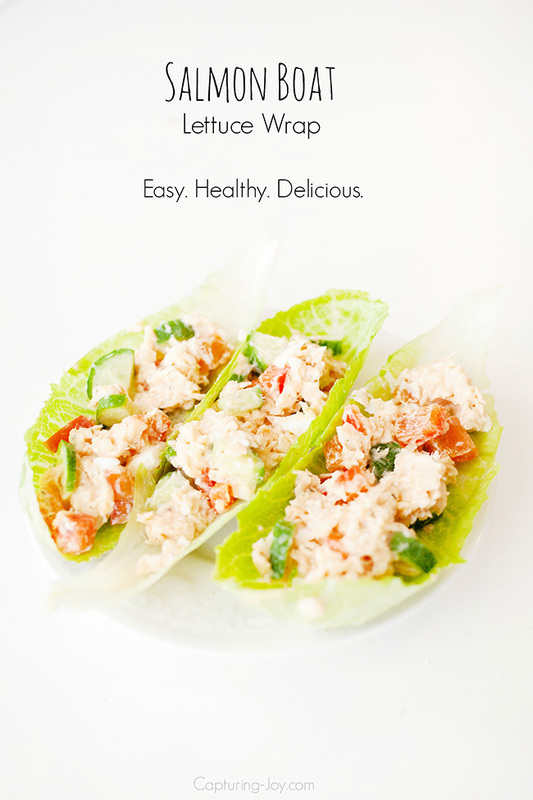 And this is one of my most favorite, easy, healthy lunches to eat! First, let me tell you about how yogurt dill dressing this dressing came into my life. Once I was meeting some friends for lunch. The girl who organized it said, “let’s meet at Verts Kebap.” I thought surely it was a texting typo. But I soon found out it was not. Kebap is a Turkish way to cook meat. I am not very adventurous when I eat out, so I opted for a salad. It was a fairly simple salad, but the meat is deliciously flavored. I did go out on a limb and try , and try the Yogurt Dill Dressing on top. I like dill, so seemed safe. Little did I know, yogurt dill dressing is salad dressing heaven!! THEN, right after that, I had some blogger friends sleepover and I asked my fabulous chef friend, Juliet, to make a deluxe salad bar for my friends and I on one of the days. I asked if she knew how to make a Yogurt Dill Dressing, and sure enough, she brought heaven in a jar to me. 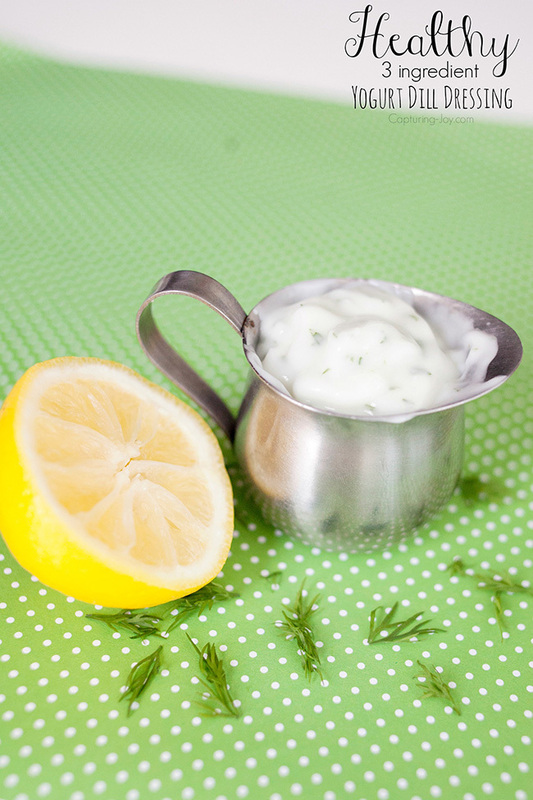 And today, my friends, she shares her simple 3 ingredient Yogurt Dill Dressing with me and all of you! It is delicious on the salmon salad, but also on so many other things! This most delicious dressing can go on top of a green salad, or mixed into tuna, salmon, or pasta salads. Mix all ingredients until blended. The longer it sits, the more flavor. Fresh dill and lemon juice is ideal. Plain or greek yogurt works, though greek is thicker. I was very excited about these cute little Salmon Boats. And just because I love a good “process” pictures and pretty fresh foods, I made a collage for the Salmon Cucumber Salad with Yogurt Dill Dressing ingredients. There you have it, a quick and easy and healthy recipe great for lunch or dinner and great for when you are on the go!